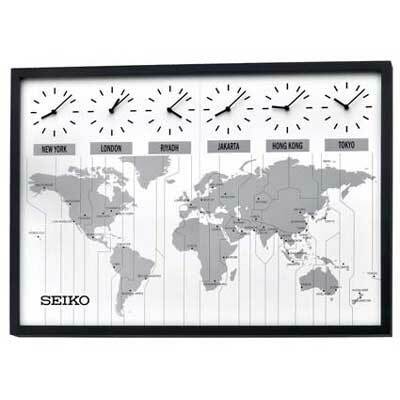 The Seiko QXA538KLH World Time Zone Clock has six-time-zone clocks spanning across the top of a large map of the world to let you see at a glance what time it is in the cities of your choice across the world. This 34 inches wide map is printed with an enamel time zone map done in silver with grids and city names done in black. There are 32 different printed city plates that will go in one of six city world time placeholders which are included with the clock and a blank plate for a smaller city you may wish to display. 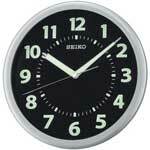 A satin black solid wood frame surrounds the clock. Two hangers on the back of the clock keep the clock secure and level on your wall. 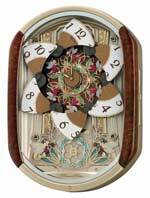 Accurate Quartz movements on all six-time-zone clocks and batteries should last over a year at a time. Six AA Batteries Included.